This week’s Top Ten Tuesday hosted by the Broke and the Bookish asks for 10 books I’m most looking forward to in the first half of 2017. Since I am planning to put a temporary halt on my book buying habit for those months, (out of necessity) the books I am looking forward to reading all come from my TBR. In no particular order here is a selection. As you can see this is a mixture of Booker prize winners ( I am determined to finish this project!) and some novels in translation. I’ve also given myself an indulgence in the form of The Cheltenham Square Murder. The Kill is the second in Zola’s Rougon-Marquet series which is another little project of mine. I bet few – if any of you – will recognise the second book on my list…. Border Country is by a Welsh author who when he wasn’t writing fiction was one of the leading literary academics in the 1970s and 80s.Among his most important academic works is The Country and The City in which he used alternating chapters on literature and social history to consider perceptions of rural and urban life. Border Country was first published in 1960, then re-issued in 2005 as one of the first group of titles in the Library of Wales series, having been out of print for several years. Those are the books on my radar screen. How does your wishlist for next year look? Since today is the patron saint’s day for Wales I thought I’d mark the occasion with some insights on authors who hail from my native land. The people I’ve chosen are all people who write in the medium of English rather than the Welsh language. Thats not out of disrespect to the language, but since many of my readers are from overseas, it wouldn’t be particularly helpful if I pointed you to Welsh language texts. 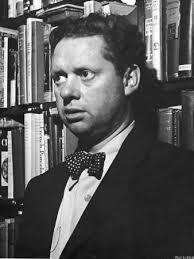 The most famous son of all is of course Dylan Thomas. A bit of a hell raiser was our Dylan; a familiar figure in the bars in Swansea (the city of his birth) and Laugharne, the fishing village where he lived with his wife Caitlin. His poetry is defined by his ingenious use of words, imagery and sound patterns which sometimes makes the meaning hard to discover. My recommendation: don’t worry too much about the messages behind the words. Just find a recording of Richard Burton reading Thomas’s poems or his play Under Milk Wood, and revel in the sounds. 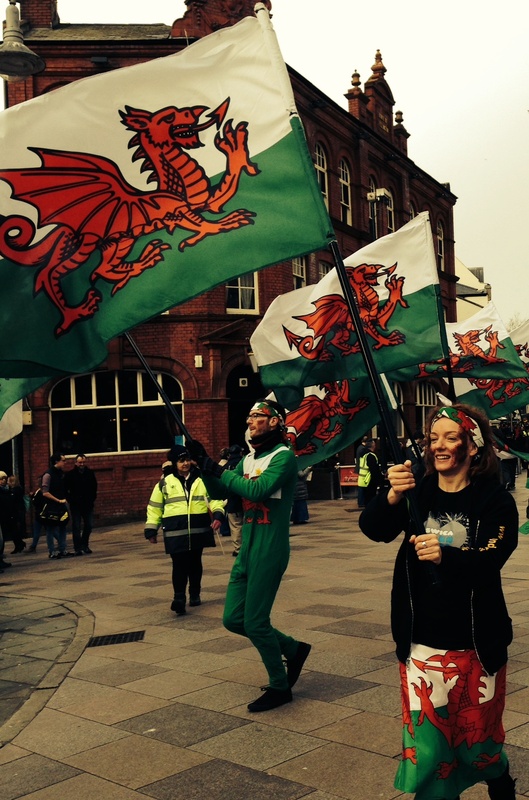 After Dylan, the other writers from Wales don’t have anywhere near the same reputation beyond our borders. Many of these names will, I suspect, be ones that you might vaguely have heard of but more likely will be a complete mystery. Gwyn Thomas: author and Tv/radio broadcaster from Barry (near my current home) whose black comedies focused on life in the coal mining communities of South Wales during the grinding poverty of the 1930s. He’s all but disappeared from the public conscience except amongst the literary elite in Wales. His autobiographical work A Few Selected Exits shows his passage fro the poorest of families in Wales to Oxford and the BBC. I’ve posted a few reviews of his works here: Reading a Welsh legend and here The Alone to the Alone. Raymond Williams: If you’ve ever studied the work of Charles Dickens there is a chance you will have encountered the name of Raymond Williams who was one of the foremost Marxist academics active in the 1960s and 1970s. He made his reputation with Culture and Society, published in 1958, which examined famous British writers such as Wordsworth and Orwell to argue that culture, as we know it, developed in response to the Industrial Revolution and the social and political changes it brought in its wake. His assessment of Dickens challenges Orwell’s contention that Dickens wasn’t a social reformer. Well worth reading is his work The English Novel from Dickens to Lawrence which looks at the way historical and social changes affected the development of the novel through the works of eleven writers. He also wrote novels – perhaps the best known is Border Country which is set in the community Williams knew personally, rural South Wales, close to the border with England, There are lengthy flashbacks to the 1920s and 1930s, including the 1926 United Kingdom General Strike and the Great Depression in the United Kingdom. Bernice Rubens was the only author from Wales to win the Booker prize. She was actually the first woman to win the prize with her novel The Elected Member. It was one of the first books I read as part of my Booker Prize project – good in parts but not wonderful was my verdict at the time. If those options seem a little heavy for you, the following authors may be more to your taste. Owen Sheers: Although Sheers was born in Fiji, I’m classing him as a Welsh author because he spent his formative years here and has kept his close connection with the country not least because much of his work has a connection to Wales (including a role as the first writer in residence of the Welsh Rugby Union(. Sheers began writing poetry, publishing his first collection in 1999. He was named as one of the Poetry Book Society’s 20 Next Generation Poets in 2004 but it wasn’t until his first novel Resistance was published in 2008 that he really came to the public’s attention.The novel imagines that the D-day landings have failed and Wales been occupied by the Nazis. it’s been translated into ten languages and was shortlisted for a Best Book Award. Dannie Abse: a native of Cardiff in 1923, he trained as a doctor but began writing poetry and plays while working in a London hospital. His first novel, Ash on a Young Man’s Sleeve, appeared in 1954, tracing the fortunes of a Jewish family in Wales against the backdrop of unemployment, the rise of Fascism and the Spanish Civil War. In 2002 his novel The Strange Case of Dr Simmonds and Dr Glas was long listed for the Man Booker Prize. Ken Follett: author of highly-readable novels such as The Pillars of the Earth, Eye of the Needle and The Man from St Petersburg, was born in Cardiff (capital city of Wales). He worked as a reporter on the same local newspaper that once employed me, the South Wales Echo, though our paths never crossed. Iris Gower: a prolific writer of historical romances in the vein of Catherine Cookson. Gower set many of her works in her home city of Swansea and the adjacent coastal area of the Gower Peninsula from which she took her pen name. She was a prolific writer publishing one new novel (and sometimes two) almost every year between 1975 until her death in 2010. Her work doesn’t appeal to me but my mum loves her.